Looking for beautiful decor for your master bedroom? 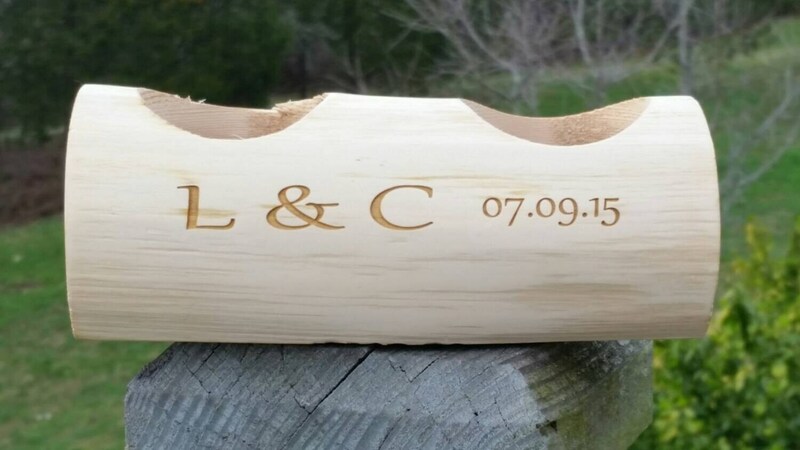 Our beautifully crafted candle holder personalized with your initials and wedding date is absolutely beautiful! It will help her create a romantic atmosphere after a hard day at work. This candle holder can hold 2 tea light candles. If you would like it longer please let us know. Also the engraving can be customized as per your request. The candle holder is made out of red cedar that had it's bark removed. This candle holder is aprox. 6.5 " long X 2" wide X 2" tall. Each candle spot is 1.5" diameter.